This week we are excited to feature one of our original Wordsmithsix members. She is a multi-published author in the Psycho-thriller and horror genre. I started writing in junior high. In the 8th grade I actually wrote a book (I’m talking about 80 pages) about a group of kids who found tunnels underneath the school. I really didn’t have a plot, but it was fun for them to explore the tunnels. This was in the middle 70’s. Of course, nothing happened with the story, which is lost somewhere in my childhood. But in the middle 80’s, The Goonies came out on the big screen, and it reminded me of my first writing adventure. After that I wrote a story called The Kiss That Never Was. I’m actually a little embarrassed about that story now because it was so awful, but it was something I wrote, and it had a definite plot, weak as it was. After that, I wrote part of a story about a woman and her boyfriend who were kidnapped, which was also hilariously ridiculous because my kidnapper did not even have a gun. And I had no concept of “short answer” questions on tests. Once we were assigned to write a short essay about Christmas for English class. But mine was more of a short story about a little girl waking up and feeling the Christmas magic in the air. Needless to say, the teacher advised me to stick a little closer to the assignment instructions. Well, I didn’t choose my genre, it chose me. I write the dark stories, the horrors, psychologicals, thrillers, mysteries. I’ve tried to stick to lighter stories, but there’s always a twist that heads back to the dark side. It’s as if I can’t control it. And I think I understand where it comes from. I’ve been accused of being an adrenalin junkie, and I guess that’s true. There’s nothing I love more than reading a book, or watching a movie, and a completely unexpected life shattering twist leaves me feeling as if I’ve been punched in the gut. That, my friends, is a fantastic feeling. And I suppose that’s why I try to include that type of twist in my writing. The best thing I’ve ever done to help my writing is join a writing group. I had been the person who, even though I’ve been a writer for most of my life, I’ve always felt self-conscious about it. I mean, I’m a grown woman, a grandmother, and I see other worlds and hear characters talking in my head all the time. So the first time I walked in the group and people came up to me and said, “So, what do you write,” I was completely floored. I had never felt that open about it before, and it was absolutely . . . liberating. Then I found the critique group. Not only was I accepted as a writer, I was encouraged, even expected to write more and more words, in more and more creative ways. And that has made all the difference. I’m ashamed to say I really don’t have a set writing routine. As a “pantser,” I write when the whim strikes me. And that means that sometimes there are huge chunks of times between writing sessions. This creates guilt feelings, and that makes me try to force words on a page that have no business being there. Getting myself in “the zone” sometimes is harder than others. One thing is to have a character be real to me. I have to do that by getting deep in their heads. One way I do that is to write in first person. Another thing that helps is listening to music, especially if what I’m writing was inspired by a specific song. I once wrote a story about a wife who suspects her husband is seeing another woman, so she goes to a fortune teller. An old 70’s song by Cher was my inspiration, and I had to listen to the song over and over while I was writing it. To this day, when I hear it, I hear the characters arguing with each other. Movies and books also inspire me. Also pictures of old houses and true crime stories. Also, an interesting situation or character. As I mentioned before, I am a “pantser,” which means I write “by the seat of my pants.” I usually have an idea of where I want the story to go and the twist, which is very important to me, but when I do get into “the zone,” anything can happen, and it’s usually better than what I had originally planned. While the rest of my life is very organized, I suppose writing is where I’m actually able to let it go and let it happen. But it’s finding that zone . . .
Well, definitely, keeping a writing routine is a challenge. I know the masters say, “the more you write, the more you want to write,” but if I force myself to write, it reads, at least to me, like it was forced. In my case, spontaneity is definitely the best. Currently, I have more than ten short stories going, at least I think they’re going to be short. I have several more started that will be longer than than a short story, but I really don’t plan to make them into a novel. I have two novels completely written in my head, but only about one fourth of the way on a page. And I have countless rewrites and completions to get done. And no number for the ones in my head that have not floated to the top of my story soup and screamed for attention. Besides these are the situations and characters, or even just a glimmer of a twist, and I know there’s a full-blown story there, but just have not been able to put my finger on exactly what it is. Writers write. That’s all I know. Writers write. Oh, and let go and let it flow. The most positive thing advice I can tell writers today is don’t ever let anyone make you feel silly because you like to make up worlds and characters. And find a master to emulate. 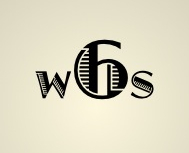 This week we are excited to introduce our newest member of the WordsmithSix Critique group. His writing style is impressive with the ability to draw the reader into the creative worlds he creates. I started writing (in earnest) about six years ago. On a whim, I bought the book “Writing Fiction for Dummies”. I devoured it cover to cover. I chose the sci-fi/fantasy/horror genre because that’s what I grew up reading. My favs were Stephen King and Michael Crichton. The best thing I’ve done for my writing career is joining our critique group. Having honest feedback on my work helps out tremendously. The best time I find for writing is actually at work. I often have a Word document pulled up on my computer desktop in the background and I work on it from time to time. I tend to write better when it is as quiet as possible and I can just vomit the words onto the paper (or screen). Once I get about a paragraph done, I go back and fix things. I’m not really an outliner, but I feel that if I strengthened those skills, my writing would improve. My biggest writing challenge is trying to complete an entire plot without losing interest and jumping to another project. I am currently working on a middle-grade or YA fantasy story involving an orphan who discovers a “special” door in her bedroom. My advice to new writers is what I suspect is usually given; write, write, write! You won’t get a feeling for your literary voice until you really start churning out words. The most positive thing I could tell writers today is that they should never be discouraged by the enormity of the writing world, but rather encouraged by it. With e-books, blogging, self-publishing, traditional publishing, and the like, there are plenty of options available. This week we want to highlight a young writer who has been a recent guest at our critique group. She has a great talent and we are sure that you will be seeing her writing in the near future. I started writing in High School. My first attempt at writing a novel began when I was only a sophomore. I write Young Adult Fiction because I love reading it, and I want to write something that my younger brother will enjoy. Young Adult has some of the most fluid and dynamic characters–seeing how these characters grow and change makes me happy. I went to the West Texas Writing Academy in 2015. Being there connected me with a bunch of writers and help me see that my writing aspirations were fully within my grasp. Procrastination. I find that I am most inspired to do creative writing whenever I have something else that needs to be done. Like taxes. But normally, I will drag my self out of bed at six in the morning and write until I have to go to class. I usually go somewhere where I put on my headphones and sit with no distractions or friends trying to talk to me. After ten to thirty minutes of gutting out the words, things start to flow. I don’t think I can be impartial when answering this. Whatever answer I come up with would be muddied by by own egocentric bias. Still. I would like to think that me and my writing style are different, but then again, who wouldn’t? Finding the will power to actually write. Actually sitting down and writing is the hardest thing in the world. There are a hundred-thousand distractions, especially if you work on a computer. I am currently writing the first draft of my first novel. I also have tentative plans for two more books using this same world and main character. I also have several other commenting worlds and storylines that I plan on exploring in the future. Forge connections with writing groups. Once you get yourself in a strong writing group, it gives you reason and motivation to writing, even if that motivation is only to not be embarrassed by bringing in shoddy work or no work at all. The publishing business is becoming more and more accessible. With ebooks and online publishing, it is increasingly likely that your book will be published in some form or manner.